Should Google Kill Google Plus? When Google Plus was born it was the darling of the web. Unfortunately, just 2 years later, it has gotten the reputation of a deserted island. Google's social networking service has failed to reach its mark despite the huge publicity and even forced user adoption. The question is, now, is it time to pull the plug on Google Plus? Started in June 2011, Google Plus got a lot of hype for being a more privacy-oriented, cleaner alternative to Facebook. Its concept of circles gained a lot of traction early on even forcing Facebook to copy the feature. Many tech bloggers were waxing eloquent about how smooth, clean, and organized Google Plus was. Later, Google Plus launched G+ for businesses. For small businesses, this was a golden opportunity. Imagine having your brand name with google in its URL: google.com/+businessname. It was a cool thing to have. Moreover, you get to have better listings of your brand in Google Search results. In short, this was a great counterattack against Facebook's advertising program for brands. Suddenly, every brand from Coca Cola to ESPN wanted to try out Google Plus. Then came the dark horse of Google Plus: Hangouts. Hangouts was, by far, the best thing that was built on Google Plus platform. Not only was it a direct threat to Facebook's legacy, it was also stepping into a new territory that of Skype. It allowed users to have group chats, and more importantly, allow brands to connect with their fans in the most interactive way ever. Everyone from popular celebrities to His Holiness Dalai Lama started using Google Hangouts for connecting with their fans. Google's rise wasn't as smooth as Facebook. It was expected to be a Facebook competitor, but barely few users were actively using it especially when compared to the traffic on Facebook and Twitter. From the Oscar Selfie to Instagram and WhatsApp acquisition, Facebook and Twitter managed to always stay in the limelight. Google Plus, not so. Furthermore, Hangouts, when started, was clunky. It still is for the most part. Compared to its messaging competitors like WhatsApp, Line, and even Skype, Hangouts looked weakly integrated. The only redeeming quality about Hangouts was that it allowed group chats, a feature -- until recently -- was unique to the service. Skype, however, came up with a group video chat feature recently and made it free for all. So, Hangouts isn't the dominator in this department. Then, the sparsely populated social network took another jab at reviving itself. This time, through YouTube. Many knew that one of Google's most popular services, which is YouTube, was in need of a big revamp in the comments department. Google saw this as a golden opportunity to make people adopt Google Plus. Soon, it was announced that it was compulsory for users to sign in using their G+ ids. The result was quite underwhelming. Many professional YouTubers express their disconcert at the introduction of the feature. Not only did this degrade the reputation of Google Plus, it also showed the desperation of Google + as a brand to keep its head above the water. The Fall of Google Plus? The recent departure of Vic Gundotra from Google raised a lot of concerns. Big tech sites like TechCrunch even went so far as to speculate the death of Google Plus as a brand. Vic Gundotra, known as the father of Google Plus, was a big supporter of the service, but his departure does hint at the fall of the brand. There are already rumors that Google is moving its G+ employees to other divisions. These rumors, however, have been classified as baseless. So, does Google Plus deserve to die? No. There are still many users using Google +. Many of them are fans of the service. The best thing Google can do is strip down the service to its bare minimum. 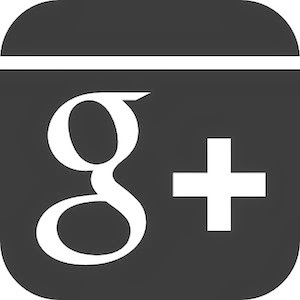 The core strengths of Google Plus is Hangouts, business pages and communities. If Google can kill its social element and focus solely on improving Hangouts and Pages, you have something solid to look at. "So, in short, Google Plus doesn't need to die. It simply needs to be focused on, stripped to bare essentials, and revived." As for the YouTube debacle, we hope Google realize their mistake sooner rather than later.